KYZEN’s METALNOX products are Solvent and Aqueous precision cleaning metal finishing chemistries specifically formulated for removing tough soils and cleaning metal parts used in the Metal Finishing, Industrial and Tooling industries. Not all KYZEN products are listed. If you do not see your product in this website, contact us to request further product information. Metalnox® M6093 is a citric acid metal parts cleaning formulation designed to remove metal oxides, scale, rust, carbonaceous soils and other hard to remove industrial soils from metal parts. It can be used on a variety of metals including steel and aluminum. Metalnox M6093’s low foaming metal parts cleaning formula can be used in spray or immersion cleaning applications. Metalnox M6093 is cost effective and does not require heat or a rinse. Suggested concentration for cleaning metal parts or descaling metal parts is 5-10%. For safe stainless steel passivation a concentration up to 25% is recommended. METALNOX® M6314 is a safe, low VOC, all-purpose aqueous metal parts cleaner, specifically designed to clean a broad range of both water soluble and insoluble oils. It is a very low solids product and is often used without a rinse, even prior to coating. This product works especially well on brass and aluminum. METALNOX M6314 is low foaming and can be used in both spray and immersion cleaning systems. When cleaning metal parts, M6314 will rinse spot free and contains corrosion inhibitors for steel to prevent flash corrosion after cleaning. Metalnox® M6319CP is a heavy-duty, low foam alkaline chemistry designed to remove a wide range of machining and stamping oils from metal parts, including steel and copper alloys. M6319CP combines both exceptional metal parts cleaning and metal parts corrosion protection. It is used in both the wash and rinse stages of multi-stage cleaning systems. Metalnox M6319CP is a mild alkaline aqueous metal parts cleaning agent designed to remove light machining oils, metal fines suspended in oil, coolants, transmission fluid, road dirt, grease and oil. The low foaming properties of M6319CP allow the product to be used in either immersion or spray-in-air cleaning equipment. Metalnox M6319CP contains a corrosion protecting agent to prevent rusting on mild steel parts. M6319CP can be used to clean aluminum and brass parts when exposure time and temperature are optimized. Metalnox M6319CP metal parts cleaner can be used in no-rinse process. When cleaning mild steel parts, a no rinse process leaves behind a protective layer that prevents environmental moisture from reacting and forming a rust oxide on the surface of the parts. When parts are stored or packaged away from the outside elements, M6319CP provides prolong rust protection. If parts are stored outside with exposure to high levels of moisture, the inhibition properties of Metalnox M6319CP will function within a max and min activity region. The rust protection will be a function of the levels of moisture that the parts are exposed to. High levels of moisture will eventually rinse the rust protection away to a point where rust oxide will start to form. Metalnox M6319CP can also be used when water rinsing the parts. To improve rust protection, add 3-5% solution of Metalnox M6319CP metal parts cleaner to the final rinse. The addition of Metalnox M6319CP to the final rinse leaves a corrosion protection film onto the parts following the wash process. The rust protection will be determined by the corrosion preventative film on the parts and the time period following the metal parts cleaning and exposure conditions. Metalnox® M6319US is an alkaline cleaner designed to be used in ultrasonic metal parts cleaning systems. While effective on removal of most types of oils and greases, it is also an excellent chemistry for buffing, lapping and polishing compounds. M6319US will not etch or darken steel, copper or aluminum parts and will rinse completely leaving a spot free finish. Metalnox M6319US is designed to be used at a concentration range of 3-25% in ultrasonic applications. The concentration range is dependent on the exposure time of the metal parts cleaning agent in the wash, wash time, applied mechanical energy and the nature of the soil. On high throughput wash processes, a higher concentration may be needed to reduce cleaning time. Matching the cleaning agent to the soil improves cleaning performance and reproducibility of metal parts cleaning results. 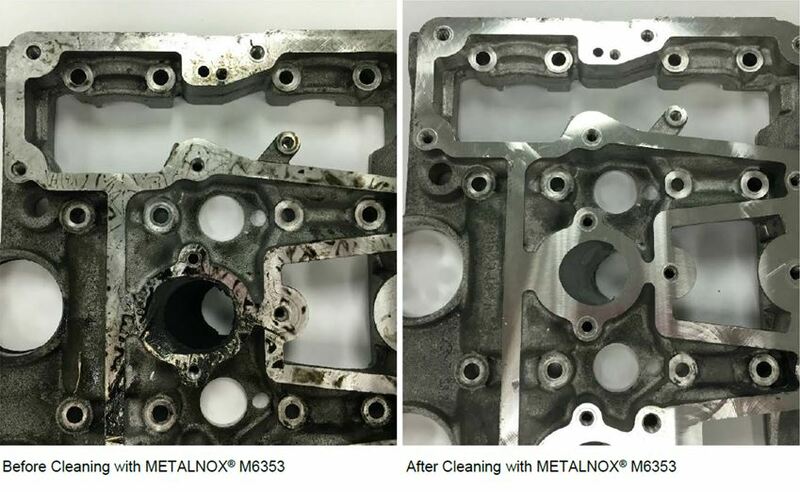 Metalnox® M6321 is an aqueous blend specially designed for heavy-duty metal parts cleaning of carbonaceous soils resulting from deep draw, laser cutting, welding, brazing and other similar operations. Metalnox M6321 can be used in both spray and immersion systems and does not require a rinse. Metalnox M6321 metal parts cleaner is a de-emulsifying agent designed to separate the oils from the cleaner, allowing the oils to be removed easily from the metal parts cleaning baths before they can migrate downstream. 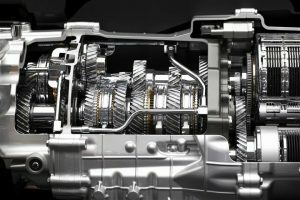 The result is less maintenance, less waste, a more efficient process and a higher-quality finish. Metalnox® M6324CP is a heavy-duty, alkaline cleaner/inhibitor formulated to remove chlorinated, paraffinic oils used in a wide range of machining, stamping, and deep draw operations. M6324CP is built with effective steel corrosion inhibitors to provide long term protection from rust. Metalnox M6324CP can also be added to both the wash and rinse stages of multi-stage metal parts cleaning systems. Metalnox M6324CP is designed for both spray and immersion cleaning processes for cleaning metal parts. Metalnox M6324CP effectively removes water-insoluble oils, heavy grease, deep draw stamping compounds, chlorinated paraffinic soils, and other difficult soils, including burned on carbon. Metalnox M6324CP finds extensive use in high-speed stamping operations where wash exposure time is short. Metalnox M6324CP metal parts cleaner is an oil-splitter and does not emulsify water insoluble oils. Once water insoluble oil is removed from the part surface, the oil is released from solution allowing it to be removed by a skimmer and/or coalescer. This oil-splitting technology allows for longer bath life and lower steady state bath soil load, both of which provide superior metal part cleaning at a lower cost. Metalnox® M6324R is a high alkaline, aqueous metal parts cleaner specially designed for heavy-duty cleaning of oils, greases, oxides and carbon. M6324R is effective in high speed stamping and deep draw applications. Metalnox M6324R is a high alkaline aqueous cleaning chemistry which is excellent for both spray and immersion metal parts cleaning processes. Metalnox M6324R is formulated with the addition of surfactants that enable faster processing speeds for cleaning metal parts and effectively removes water-insoluble oils, heavy grease, deep draw stamping compounds, and other difficult soils, including burned on carbon. Metalnox M6324R finds extensive use in high speed stamping operations where wash exposure time is short. Metalnox M6324R is non-emulsifying or oil splitting. Once water-insoluble oil is removed from the part surface, the oil is released from solution so it can then be removed using a skimmer and/or coalescer. 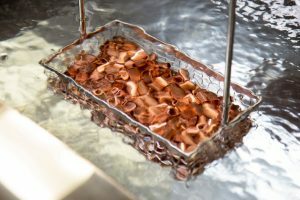 This oil-splitting technology allows for a longer bath life and a lower steady-state bath soil load, thus providing cleaner parts in a cost-effective metal parts cleaning operation. Metalnox M6324R is a heavy-duty metal parts cleaner designed for exceptionally difficult metal parts cleaning applications. One example is re-manufacturing, where Metalnox M6324R is used to remove grease, rust and paint from parts returned from field service. This product is also used when demanding particulate levels are required, as typically measured by Millipore analysis. The aggressiveness of Metalnox M6324R does not lend itself to cleaning aluminum, copper and brass parts. Metalnox® M6324US is a high strength, high alkaline, aqueous metal parts cleaning chemistry which contains chemical components designed for ultrasonic and other immersion cleaning systems. Metalnox M6324US is a high alkaline aqueous cleaning chemistry designed for use in ultrasonic cleaning systems for cleaning metal parts. Metalnox M6324US is effective at removing abrasive soils such as buffing and lapping compounds. This metal parts cleaning chemistry is also effective in the removal of water-insoluble oils, heavy grease, deep draw stamping compounds, and other difficult soils, including burned on carbon. Metalnox M6324US is a non-emulsifier, or oil splitter. Once water-insoluble oil is removed from the part surface, the oil is released from solution so it can then be removed using a skimmer and/or coalescer. This oil-splitting technology allows for longer bath life and lower steady state bath soil load, thus providing cleaner parts, and a less costly metal parts cleaning operation. Metalnox M6324US metal parts cleaner is a heavy duty, aqueous, cleaning chemistry, and is often used in exceptionally difficult and demanding metal parts cleaning applications. One such example is the removal of resin based coatings and adhesives. Other examples include cleaning metal parts of deep draw stamping compounds which contain chlorinated paraffin, that have undergone partial polymerization due to excessive die temperatures. Metalnox® M6330 is a high alkaline aqueous solution designed to clean and brighten a wide variety of metal parts. M6330 performs well at removing heavy greases and oils used in standard manufacturing situations and will provide long term corrosion protection on ferrous and copper based alloys. Metalnox M6330 can be used in both spray and immersion metal parts cleaning systems and does not require a rinse. M6330 is a good fit for facilities that manufacture and clean a mixture of metal parts. The result is less chemical inventory, less waste, a more efficient process producing high-quality results. Reusing raw materials which would otherwise be mined from the earth. Conserving energy by reusing old parts rather than melting them down to raw material. Metalnox® M6380 is a modified alcohol based Metal Finishing solvent cleaner blend designed to clean a wide range of polar and non-polar soils from ferrous and non-ferrous surfaces. Metalnox M6380 metal parts cleaner is designed for use in automated vacuum vapor degreasing parts cleaning machines and is an alternative to halogenated vapor degreasing and aqueous cleaning processes. Metalnox M6380 cleans both non-polar and polar soils, has a stable composition and a narrow boiling range, and can be distilled and regenerated for consecutive cleaning cycles. This product is commonly used to clean metal parts supplied to the automotive, electronics, aerospace and other high tech industries. Metalnox M6380 is a modified alcohol precision metal parts cleaning fluid effective on non-polar (lipophilic) and polar (hydrophilic) soils. The lipophilic function provides exceptional cleaning of water-insoluble oils and other non-polar soils. The hydrophilic function, unlike hydrocarbons, effectively dissolves and/or displaces water-soluble coolants and some salt formations via the hydrogen bonding properties of the alcohol and oxygen bonds present on the molecular structure of the cleaning agent. Support Products for Metalnox M6380: Kyzen CP80, Kyzen Booster 80 & Kyzen Acid Acceptance Kit 2 (AAK2). Metalnox® M6381 is an aliphatic hydrocarbon blend specially designed for heavy-duty cleaning of oils, waxes, grease and shop dirt while being safe on ferrous, copper alloys, magnesium, aluminum, plastics rubbers, glass and ceramics. Metalnox M6381 is a hydrocarbon solvent metal parts cleaner designed for use in continuous regenerated metal finishing solvent cleaning machines and is commonly used to clean metal parts supplied to the automotive, electronics, aerospace and other high-tech industries. Metalnox M6381 rapidly cleans the non-polar, petrochemical oils used for cutting, machining, drawing and lubricating metal parts. The narrow boiling range of Metalnox M6381 allows the product to be distilled and regenerated for consecutive cleaning cycles. Cleaning machines used to process Metalnox M6381 concentrate oils and chips while regenerating the solvent for sequential metal parts cleaning applications. High volumes of clustered parts and challenging geometries (blind holes) are successfully cleaned and dried using vacuum distillation and drying technology. 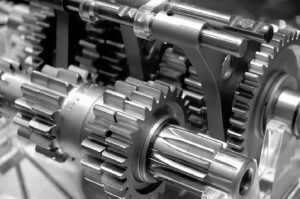 METALNOX® M6386 is a modified alcohol based solvent cleaning blend designed to clean a wide range of polar and non-polar oils and coolants, from steel, brass, aluminum and all other metals. METALNOX® M6920 is a VOC-Free non-flammable cleaning solution, with low global warming potential. This chemistry is part of KYZEN VaporDegreasing 20|20TM family of solvent solutions. Classified as a non-VOC chemistry, M6920 and has ultra-low MRI and Global Warming Potential of 1. This product is compatible with stainless steel, copper, iron and aluminum with or without excess water, and has excellent degreasing qualities for most lubes and oils. M6920 has been tested and conforms to ASTM F 945-12. It also meets MIL-PRF-32295A Performance Specification! With PEL limits of 800 ppm, M6920 is a great choice for metals, stainless steel, copper, iron and aluminum as an effective and safe solvent. A VOC-Compliant chemistry, M6922 effectively solubilizes ionic contaminants in hydrocarbon-based oils, water soluble soils and electronic fluxes. M6922 also has excellent degreasing qualities for most lubes and oils and a superior solvency for silicone fluids. With ultra-low Global Warming Potential of 1 and low surface tension rating of 12.7 dyne/cm (wettability), M6922 is a great choice to replace harsh chemistries while providing a safe and effective solvency. M6922 is intended for use in vapor degreasing equipment or cold cleaning processes. Compatible with metal, plastics, as well as elastomers, M6922 is a great choice to replace harsh chemistries while providing a safe and effective solvency.